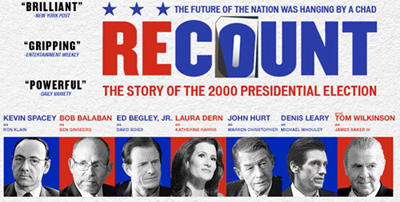 Recount is a 2008 television film about the 2000 United States presidential election. The political drama was written by Danny Strong, directed by Jay Roach, and produced by Michael Haussman. It premiered on HBO on May 25, 2008. The DVD was released on August 19, 2008.